The author explains, on the basis of his own experiences, as it is possible, in the long run, to reduce the weight significantly and thereby lower blood pressure and improve health. This new book offers you a practical step-by-step guide to improve your health and fitness. The author chose the weight loss. By following the diet and training plan developed by him, he managed to reduce his weight by about 44 pounds. His goal was not only to achieve this weight loss, but the real challenge was to keep the lower weight in the long run. Therefore, his action strategy did not include a crash diet. He was aware that this could mean nothing more than changing his lifestyle with the goal to maintain a lower weight in the long term. – He has lost approximately 45 pounds. – The upper blood pressure remains stable in the “healthy” range. – The lower blood pressure also moves in the “healthy” range. – The pulse rate has leveled in an optimal range. – His general health condition has improved significantly. – His physical condition is much better than before. The key to success was an increased, but still reasonable, physical exercise combined with a healthy diet. After nine years, the health of the author improved significantly – without any additional medication. In sum the author is convinced that his program also works for other “best agers” as well as for younger peoples. 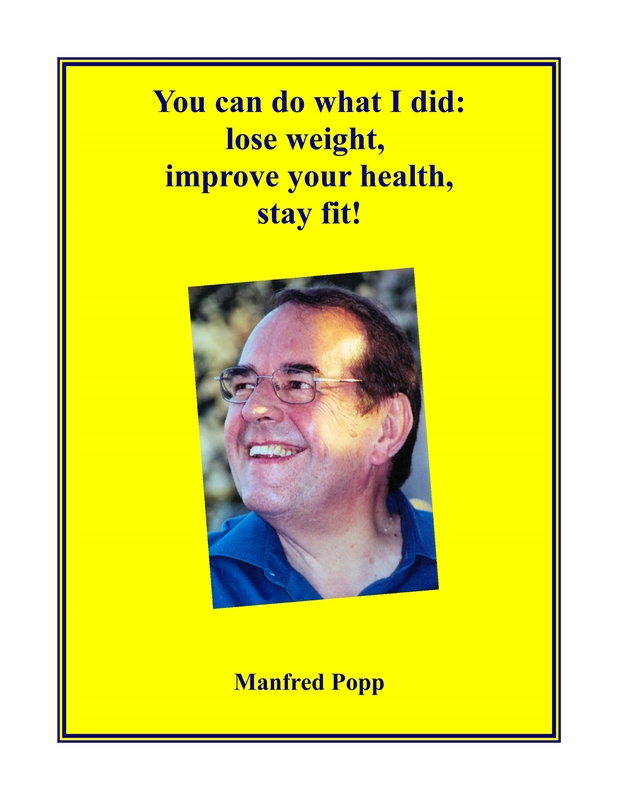 Two years later, an extended revision of the German book about weight loss and fitness was published. On AMAZON, the title is available as eBook or as printed book. See this Book on Amazon. This book can really help to change your health and thus your future live!